Analyn R. Holman, RN, MSN, AGACNP-BC graduated in 2009 from Arizona State University with a Bachelor of Science in Nursing. She received her Master of Science in Nursing, Adult-Gerontology Acute Care Nurse Practitioner degree from Grand Canyon University in 2016. 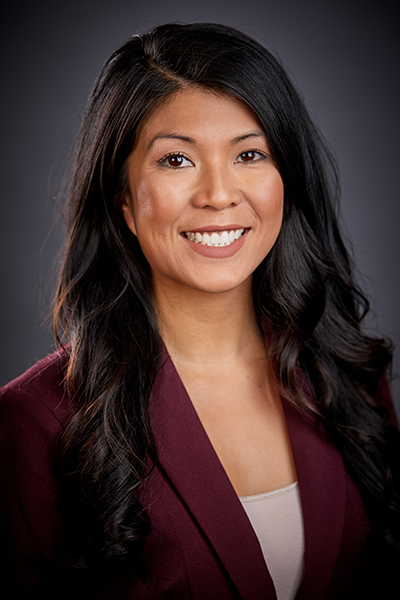 From 2013, until she joined our practice, Analyn was a Registered Nurse in the Intensive Care Unit at Banner Baywood Medical Center where she provided direct care, evaluation, and management of critically ill medical and cardiology patients. From 2011 through 2014, Analyn worked as a Registered Nurse in the Telemetry Department at Mercy Gilbert Medical Center, providing attentive cardiac monitoring of pre and post-operative cardiac patients. From 2010 to 2011, Analyn also served as a Registered Nurse in Telemetry/Progressive Care at West Valley Hospital. Analyn is Board Certified as an Adult-Geriatric Acute Care Nurse Practitioner with the American Nurses Credentialing Center as well as Board Certified as a Registered Nurse with the Arizona State Board of Nursing. She is certified, by the American Heart Association, in Advanced Cardiac Life Support and Basic Life Support. When relaxing, Analyn likes to enjoy the movies, travel and try new exotic restaurants to appease her palate. Her favorite cuisine is sushi and you will never see her skip out on a delicious dessert. She enjoys going to the gym and taking her Pomeranian Minnie out for walks at the park. She was originally born and raised in Orange County, California, but loves living out here in the desert. She especially enjoys working and spending time with her patients here at CVAM.